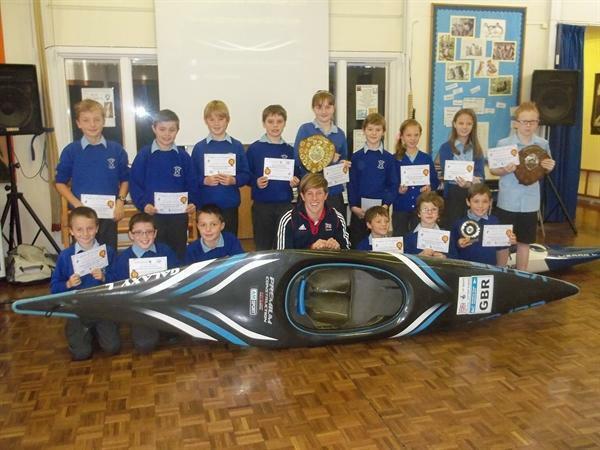 We all had a brilliant start to the week with a visit from British slalom canoeist, Fiona Pennie. Fiona competed in the 2008 Olympics in Beijing and became European Champion in 2013. 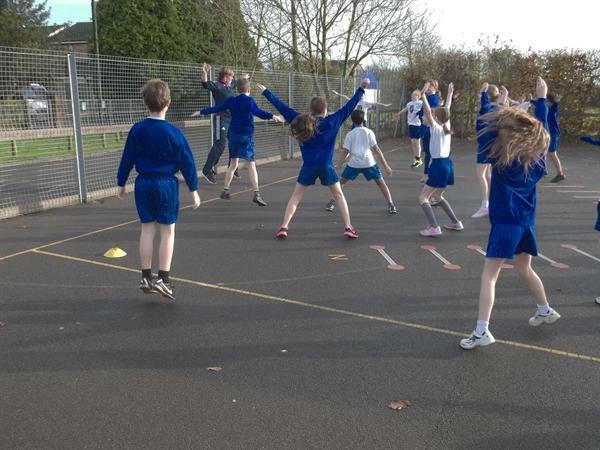 She is based at Lee Valley White Water Centre and back in October she presented St. Andrew’s with the Active Braintree Sports School of the Year award. We invited Fiona to visit St. Andrew’s to inspire the children.... How inspired we were! Fiona demonstrated the difference between a kayak and a canoe as a very excited George Thorogood and Hannah Wallace were kitted out with lifejackets and helmets and climbed into her boats. We heard about her sporting achievements and disappointments. A recording of Fiona winning a silver medal in the 2014 World Championships was a wonderful illustration of how perseverance and determination can lead to success. Fiona presented our own British Champions with their national orienteering certificates. After break Fiona led mock training sessions for Years 5 and 6. She converted a water-based sport into a land-based activity so the children could imagine what it would be like to do a slalom course. The Owls and Miss Williams enjoyed a photocall. We were delighted that Fiona was able to join us for the orienteering celebration lunch. The team were so excited to be able to share their success with her and collect her autograph. We are extremely grateful to Fiona for making the morning such a wonderful experience for everyone, both staff and pupils. The whole school was buzzing for the rest of the day! Fiona will be competing in the World Championships at Lee Valley in 2015. We shall follow her closely and wish her every success.